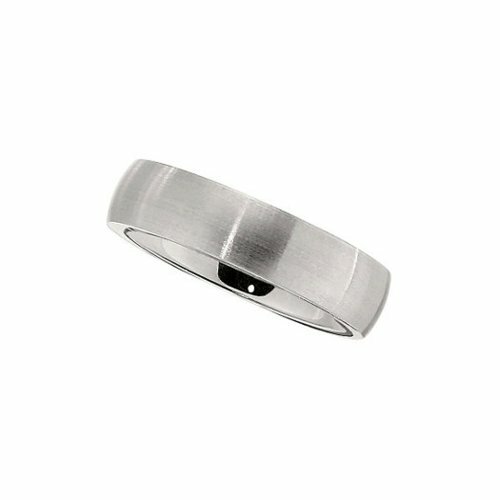 6mm Cobalt Slightly Domed Satin Comfort Fit Band Size 9.5 | What Should I Say? A tried and true favorite style featuring a comfort fit shank and a slightly domed center created from cobalt, a silvery-white contemporary metal with uncompromising strength that will not chip or crack, is scratch resistant and hypoallergenic. As a lasting symbol of your commitment, this 6mm satin finished band is designed to last a lifetime without losing its color or luster. If you have any questions about this product by The Black Bow, contact us by completing and submitting the form below. If you are looking for a specif part number, please include it with your message.